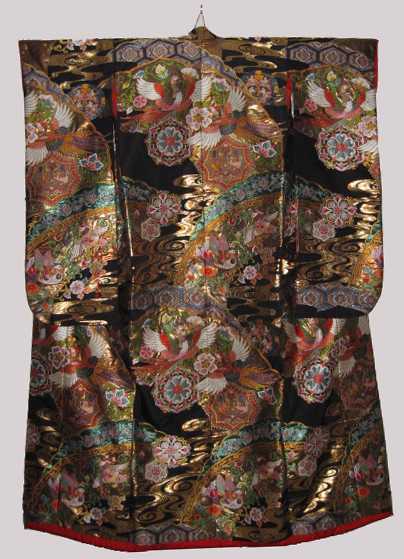 This is the Coup de Gras Japanese Black Wedding Kimono. Wonderful design and construction! 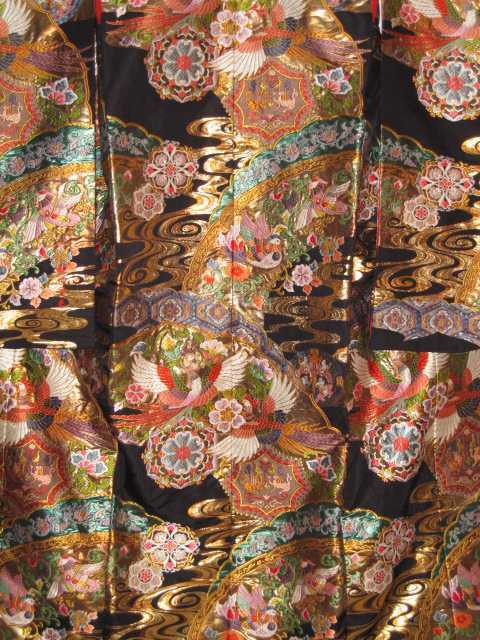 Is signed by the designer in stitched thread.